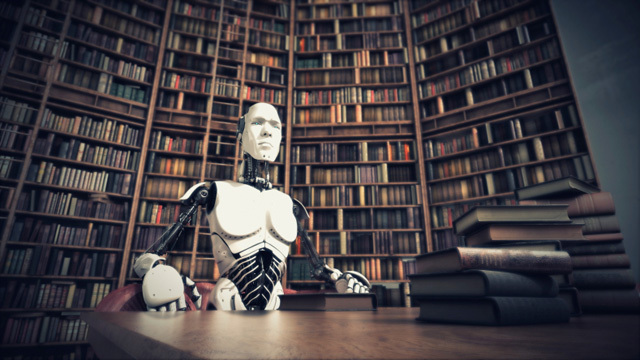 Three Perfect Science-Fiction Books « Geekorner-Geekulture. And then we have kids who end up trapped amid an alien species, so we also have a story of first contact, a story told through both human and entirely alien point of views, and again, it touches on what all stories revolve around, the nature of personhood. A love story, a race against time, and more, all exist in this very well-told story, and all mesh to a singular whole, rather than clashing or making you wish one segment were to end only to reach the next. Note: Though this book is listed as “Zones of Thought part 1,” it is entirely self-contained. 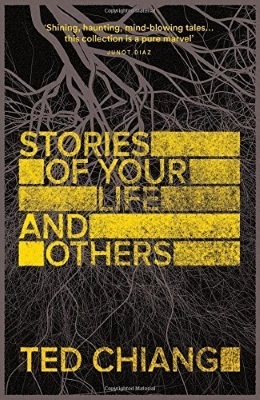 While the first entry in this list is one story showcasing everything good sci-fi is, this book is a collection of short stories that shows everything good sci-fi can be. The stories range from 3 pages to over 40, and deal with a wide gamut of settings, issues, scopes, and even modes of storytelling. Stories range from a memoir of a scientist who interacted with aliens that changed the way she perceives time (on which the 2016 film Arrival has been based), to the people living in biblical Babel trying to reach the sky through The Tower of Babel, to the small and personal tragedy of a mathematician who discovers Math is false. There are riveting suspense stories (one of which basically seems to contain the plot to the movie Limitless from 2011), to those that are told as if they were documentaries, on a world where you can disable your sense of beauty appreciation. 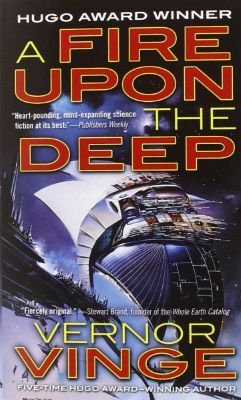 There’s just so much here, and even if some stories won’t work for you, the breadth and vision on display here make this book a must read for anyone interested in the powers of creative writing that we humans can bring to bear, and who would like a much wider taste of what science-fiction is about. By far the most recent book in the series, and the one I can describe the least, due to the asynchronous manner in which it is told and the mysteries that unravel as you read through it. The book jumps between two different times, a “before” and “after”, and what a momentous moment it was that caused the schism, and I can’t tell you about it. This book does quite a few things, the first and simplest is that it tells you a good detective story, slowly layering on answers, more questions, and knowledge of the world we find ourselves in. Secondly, it quite openly asks about what makes a person a person, and the boundaries between AI and people, and also the question that our own lives revolve around: How much of ourselves can change, can we lose, while we still remain “ourselves”, and what does “remaining ourselves” even mean. Then the story more subtly asks us what would happen if we were able to inhabit multiple bodies or live forever, what would happen if we reached an internal disagreement we could never reconcile. The story also takes place in an “Exotic” and space-faring human society, but if you know how many times such a community actually took place in our own history (such as through the Hellenistic Culture, or even through today’s globalization), you might rethink what you think of the story and the characters within, and also our own world. Finally this story is also so well told, that I’d recommend it on that strength alone. The book is the first part of a trilogy, but is self-sufficient. The sequels in the trilogy are not self-sufficient, and are “only” very good, rather than masterpieces. Any perfect books you’d like to share? Or your favourite science-fiction books, and why? 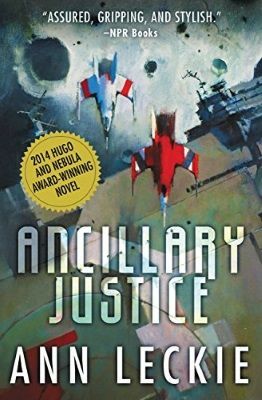 This entry was posted in Book, Editorial, Literature, review and tagged A Fire Upon the Deep, Ancillary Justice, Ann Leckie, Perfect Science Fiction, Stories of Your Life and Others, Ted Chiang, Vernor Vinge. ← Guy is Back, Back Again. Guy is Back, Tell a Friend. Not a western book, and definitely not sci-fi, but you should definitely checkout the translation of the LN Dungeon Defence (5 volumes have been released so far). It’s a few hours worth of reading to catch-up. I still haven’t seen any LN I’ve enjoyed reading. So I’m waiting for Froggy’s “Top 5 LNs” soon and hopefully they will revitalize some of my interest. I’m not sure I’d quite call it “perfect”, but Fire has definitely stuck with me in a way that most sci-fi stories don’t. Took me a while after reading it to realize just how many of its ideas resonated with me, and how deeply. So I guess I’d better put Ancillary Justice on my to-read list if you’re recommending it with the same degree of enthusiasm. 1) A Mote in God’s Eye by Niven and Pournelle. One of the sci-fi stories that I’d like to add to everyone’s canon just for the phrase “on the gripping hand” alone. A bit of space opera mixed with some grittier examination of the interaction between alien diplomacy and alien biology. Also describes one of my personal favorite FTL travel mechanics. 2) Pandora’s Star by Peter F. Hamilton. Start of a whole series of books, which I’d recommend to anyone interested in contemplating life in future societies. Hamilton really likes to dig into the implications of technological change upon society and politics. The books can feel plodding because he takes his time introducing new elements and gradually chewing through their effects; but if you’re into this sort of thing they are some of the best stories I’ve ever read. 3) Children of Time by Adrian Tchaikovsky. This was given to me last year as a shot-in-the-dark gift, and I was astounded at how much I ended up liking it. I saw it described as story of speculative evolution, which is probably the best categorization I could hope to apply, but still doesn’t capture the essence very well. It makes a story out of a planet’s entire biological history, from pre-sentient insects to interstellar civilization. And it spins that thread together with a heart-wrenchingly desperate struggle by the last heirs of humanity to survive. I’m not doing it justice with that description, I don’t know that I ever could. I’m sure it’s not a story for everyone, but it surpassed my own expectations by a great margin. And yeah, a sci-fi book sticking with you is a good part of what a good sci-fi book should aim to do. I’m glad this suggestion had been so well-aimed. I have A Mote in God’s Eye somewhere around the house, and I hadn’t even heard of the other two. I’ll try to give them both a look once I’m done with my next block of books (which is about ~10 books currently). Children of Time sounds like a much grander scale for David Brin’s Uplift series. Also, if you remember my Kyousougiga discussion, I believe something can be perfect in spite of having flaws. It’s more about how it captures all it should be, and with a certain amount of power and precision. And then does more, surprising you. Maybe not ‘perfect’ but “The Fifth Season” by N.K. Jemisin is one of the strongest books I’ve read in a long time. Tightly packed with a unique story style and while it isn’t the most unique in terms of setting, it’s main theme is so strong and focused that when the ‘gimmick’ is revealed near the end, it only enhances the story told before instead of cheapen it. Plus, the opening line of the sequel “The Obelisk Gate” may be the best opening line I’ve ever read. Provided, of course, you’ve read “The Fifth Season”. I’ve actually read the entire trilogy, and re-read the first two books to prepare for the third. The first is great. The second is somewhat weaker, but still strong. The first is about the societal pressures, and what makes a human crack. The second, more about the personal tale of woe of leaving with loss and amid adversity. I almost wonder what the “Gimmick” you’re referring to is, hm. I haven’t read #2, but since I completely agree with you about #1 and #3, I’ll take that as a recommendation to read it soon.